The church, then funeral home, now "haunted" Iron Island Museum, Buffalo, NY featured on "Ghost Hunters"
It was a frozen rope cold day in mid January 1987, Buffalo, NY. I thought it was going to hurt but it did not bother me one bit. The bespectacled and kindly face of Dr. James Gong hovered above me as he inserted needles into my lower back around the area of the sacrum that had been bothering me. Other needles were slipped into my arms, shoulders and, strangely, my upper lip. I remained very relaxed and it seemed to increase. My back and shoulders began to feel a warm sensation like bath water when he hooked the needles to alligator clips. My muscles in back, shoulders, arms began to twich. Oh yes, and the alligator clips were electrodes which were attached to what only could look like mini car batteries. When attached, the devices had a very slight humming noise. "What on earth had made me come here to do this"?...to the Lovejoy Street, Buffalo, NY office of Dr. James Gong, in mid frozen January in Buffalo's Iron Island District. Then I remembered-how painful my lower back and neck were. Several trips to a Tonawanda Street G.P. , a physical therapist, a chiropractor had failed to pro­duce much relief. I decided to take another tact and try acupuncture. 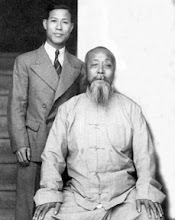 A Tai Chi student of mine recommended Dr. Gong. I took my car to Lovejoy Street passing four pizza parlors, a Cafe, numerous bars, grocery stores, a drug store , a bank, and other personal businesses. I passed a formerly popular Methodist Church at 998 Lovejoy, which on that day was a funeral home. The funeral parlor long ago donated it to the Iron Island Preservation Society and it is now a museum called "Iron Island Museum". The museum was even featured on the Sci-Fi Channel series Ghost Hunters. The TAPS people believe that ghosts of an older man and woman are part of the Iron Island Museum. Reaching Gong's first floor office in a semi brick home built in 1900, I entered the front door. Dr. Gong spoke English, but not often. Most of my questions to him were greeted with a friendly chuckle, but I managed to let him know where my back and neck hurt. He hustled me into a room, which was half filled with other men, all in their shorts and with needles sticking out of their backs. He had me lie down on a cot, and went to work. In the next room, I learned, that several women were also getting a treatment. I thought back on what my student had told me and the Forbe's article he had given me. The article had featured that piece "The New Old Medicine" by William G. Flanagan and how much Gong had helped him. Flanagan spoke in glowing terms about Gong after he visited him at his Mott Street, NY City office. He had spoken of Dr. Gong even treating the NY Giants professional football team with acupuncture. He mentioned how Gong had even been flown overseas by wealthy clients in order to treat them. As I lay there a while, becoming oblivi­ous to the needles and the muscle spasms and the electric current shooting through my arm, I drifted into a dream-like state and of all things fantasized about doing Tai Chi in the old Central Railroad Terminal which was close by. "Really" I asked myself, " while hooked up to a car battery"? I recalll now that not only was the Iron Island Museum featured on Ghost Hunters...it was featured along with the Buffalo Central Railroad Terminal when they were in Buffalo. I remembered in writing this, that the museum is allegedly haunted and that nowdays I could actually now spend the night in the "haunted" museum, maybe even still hooked up to the "car battery"? There was an incredibly delicious smell coming from what appeared to be the kitchen, "Was that soup he was making?' "This guy treats rich people, and he makes his own soup?" Then I could smell what smelled like ..."Wait, is someone smoking marijuana?" How did I know that...why else...I worked for U.S. Customs at the time. No, I've heard of this, here he comes holding what appears to be a lit cigar. That's moxa and yes he is holding it over the needles on one of the gents on the other table. What a fantasy trip this is, I feel like I've stepped out of time and place. I had been to another acupuncturist before this. I feel it safe to say not every acupuncturist offers such fantasy trips, soup and beyond along with the price of treatment, of course. Acupuncturists today are as likely to be found on Lovejoy Street in Buffalo as in Chinatown's all over the world, and they are as likely to be Caucasian as Asian. There are probably 10's of thousands of acupuncturists in the country today. A trip through the phone book...excuse me Google will show M.D. 's, DDS, who know acupuncture techniques. Why so? Easy, it is in big demand, but I'll bet only a few of them can give good reasoning why the thing works. Very gradually I began to rouse from my half sleep reverie and smelled something else. It smelled like the soup was burning. Oh no, I wanted to try some, it smelled wonderful. Then the smell became stronger and I realized it was coming from my room. I managed to lift my head even though the effort was staggering, I was so relaxed, my head felt like it weighed a ton. As I looked to my left I could see smoke coming from one of the throw rugs on the floor. I noticed that his heat lamp had fallen and started to scorch the rug...wait, now there is a small flame. I started calling, "Dr. Gong, Dr. Gong", I thought I was barely whispering but he began to enter the room. "It's OK", he said, you can all go back to sleep. He went over and stamped out the fire. During this time period, I began to fantasize once again. All I could think of was that I was in my underwear. "What if the fire spread, what if we all had to get up while needles were in our bodies and still attached to electrodes, what if we all had to run out into the frozen snow, into the street, staring at oncoming fire trucks while attached to car batteries with our backs and shoulders twitching like a bunch of demented frogs?" He came over to me, detached the electrodes and began to remove the needles. With each couple of needles, he began a deep massage with some type of pleasant smelling ointment. That feels really good, this guy really knows his stuff. He gently said, "come on, get dressed, the soup is ready". That is the rationalizations over training or not training that students engage in on what often seems like a constant basis to this teacher. I have a feeling that if students can recognize their own urge to rationalize their lack of practice, absence from class, etc., then they can at least head off some of the impulse they have to not persevere in the discipline. On the other hand a rewarding facet of Classical Tai Chi training is that it is indeed subject to such rationalizations. One can learn to deepen their practice and since Tai Chi is indeed a meditation in motion a student can learn to recognize them just as they would in any other meditation practice. Rationalizations, emotions, thoughts, fantasies, quasi-logic, insights will all come to the surface during consistent and deep practice of the Classical Tai Chi and it is part of the mediation process for the student to not only recognize them but to detach themselves. Classical Tai chi essentially is a self-discipline, of both body and mind. Its practice is not intended only for the days when one feels good, inspired, awake, enthusiastic, or energetic. Classical Tai Chi is meant to be practiced through everything that life offers up. Consistent daily practice is the only way to progress through Tai Chi's many stages of personal development. Whether one is financially burdened, responsibility laden, busy, sick, worried, sad, injured, tired, or even indifferent, the discipline calls us into that present moment to face life’s constant changes. The mind will always provide opportunities to rationalize not engaging in practice. In other words, one must persevere to practice in spite of lack of motivation. Master Hwa has always stressed the importance of consistency and perseverance. Through his decades of experience, he knows as do I that the Tai Chi is not only a tool to face difficulties in life, but also a way to create the capacity and potential for growth. In tough times, when it becomes actually easier for one to hone the ability to make rationalizations/excuses, a steady practice can make a huge difference. I advise students to come to class, take off their shoes, begin their practice, and see where this leads. This teaches not only discipline, but detachment. Detachment, equanimity, grace under pressure...all rewarding things that can come from perseverance in spite of adversity. Self-discipline, like many other qualities, must be cultivated. 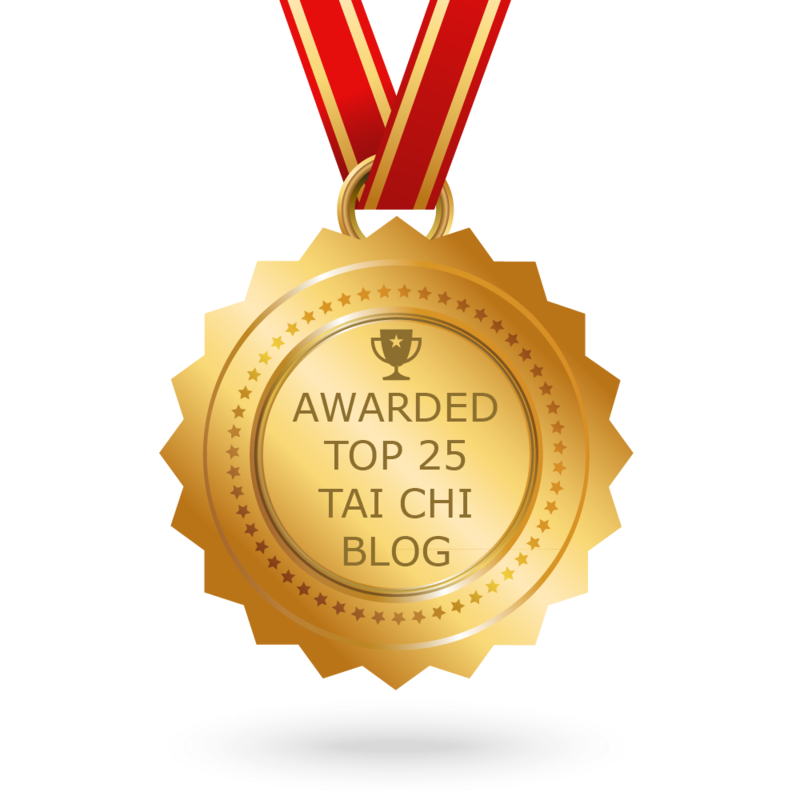 Progress in learning the Tai Chi forms is accomplished through sustained effort. There are no shortcuts. The truest essence of Tai Chi is not in any outward physical manifestations, but rather in the deeper, more subtle and profound physical and mental internal changes. These are gained only through meeting the challenges that a daily practice reveals. Except that I see many, many students over the years who tell me they rationalize such challenges as mountainous, when actually they become molehills if one can persevere with practice. After all one of the eventual goals of learning Tai Chi are: Using internal movement to direct external motion. I even have conscientous and devoted students still studying who tell me they cannot wait till they retire from their jobs so they can devote time to learning Tai Chi. On the other hand people have come and gone who have said: "but, I cannot come to class, I have (insert responsibility)". 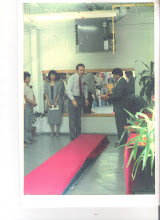 "But, I did not study, I have... so what's the point of coming to class", "but I came to Tai Chi and expected this and I did not get it, so why should I come to class", "but the teacher is too meticulous, I just want to do it", etc., etc. So then they end up quitting entirely in spite of their protestations that they "will continue study on their own". It is not learned in a vacuum, you need almost constant input from a teacher, preferably in person. Beginning students not only need steady input from a teacher but they need nurturing (yes, much like growing anything from plants to children) over the first 3 years and some cases perhaps 5 years. Now if you truthfully are so disciplined that you feel you can study on your own, there is no reason why you cannot come to class if there is one near you. My weekly trips to Toronto to learn , encompassed hundreds of miles per week for study and in the face of the adversity and responsibility, some of which I still have. I understand completely and I empathize, please do not say that I do not. Before I retired, I raised children, cared for a spouse, cared for 3 dogs, other family, worked for U.S. Customs before and after 9/11, taught Tai Chi at 3, sometimes 4 different locations , traveled to Toronto for lessons, ran a studio in Buffalo, NY. I did these in conjunction with each other and I had my own practice. As the saying goes, I needed my practice even more, sometimes very much more to "consolidate the input" from all these other stressors. So, I do understand, and that in contradiction to people who say or imply that I don't. I do not contradict them however as to the veracity of their responsibilities. However, had I waited to have such time as I do now before I began or continued with Tai Chi would waiting for a "but" that will never come. As some have said: "it is like being a person waiting for the ocean to calm before going to take a bath in it". Don't get me wrong here. I am not the proverbial man with a stick who "whacks" someone if they do not come to class or study. Nor am I the confessor that will tell you to "go and sin no more" for not coming to class or practicing. I once had a clinical psychologist in class who after his initial interest wore off seemed to have a different excuse (he jokingly called it "rationaizations") each week for why he did not do this, or do that. Finally, I told him: "I tell everyone this and that is that the emotion of guilt is no help whatsoever in learning this". I'm pretty sure most folks who come and go whether long time or short get to the guilt stage. It has been said that one reaches the guilt stage when they run out of excuses/"rationalizations". Or as the psychologist would say "rationalizations for not coming or practicing". Some run through the rationalizations faster than others. Here's a "confession": I stuck with it sometimes because I got tired of feeling guilty. I told myself, "if you feel that bad for not doing it, then you must really need it". Believe me, I do understand but I'm not going to feel guilty with you. I learned to recognize my rationalizations and detach myself from them, but that only comes with continuing the Tai Chi.